huge Millions of Naira to surge caused by tenacious precipitation, combined with worst drainage in the region. “We can neither go to the office nor stay at home comfortably now as many of our valuables are already destroyed by a flood." Some of the residents, in interviews with NAN, said the early morning downpour left several roads and homes in the area flooded. 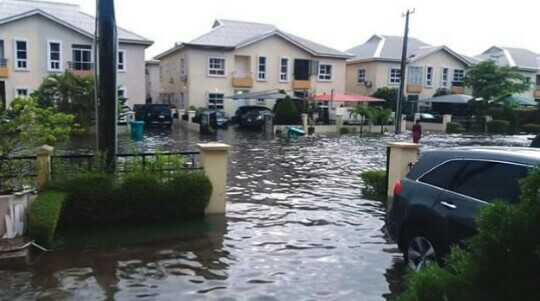 Mr Luqman Balogun, a member of the Community Development Association, in Ibeju-Lekki, said that it had been a long time since the community witnessed such torrential rain. A resident, Seyi Bakare decried the poor condition of the Ibeju/Lekki expressway. Mrs Bola Fadahunsi, another resident, lamented that the bad roads and flooding were causing a lot of damage to the vehicles of residents, costing them more money to maintain.